The Street Density Engine Mount Pair is manufactured from 60 durometer rubber, which is approximately 25% stiffer than stock. Since the mounts are also void-free and solid-filled, the resulting mount is approximately 60% stiffer than stock. 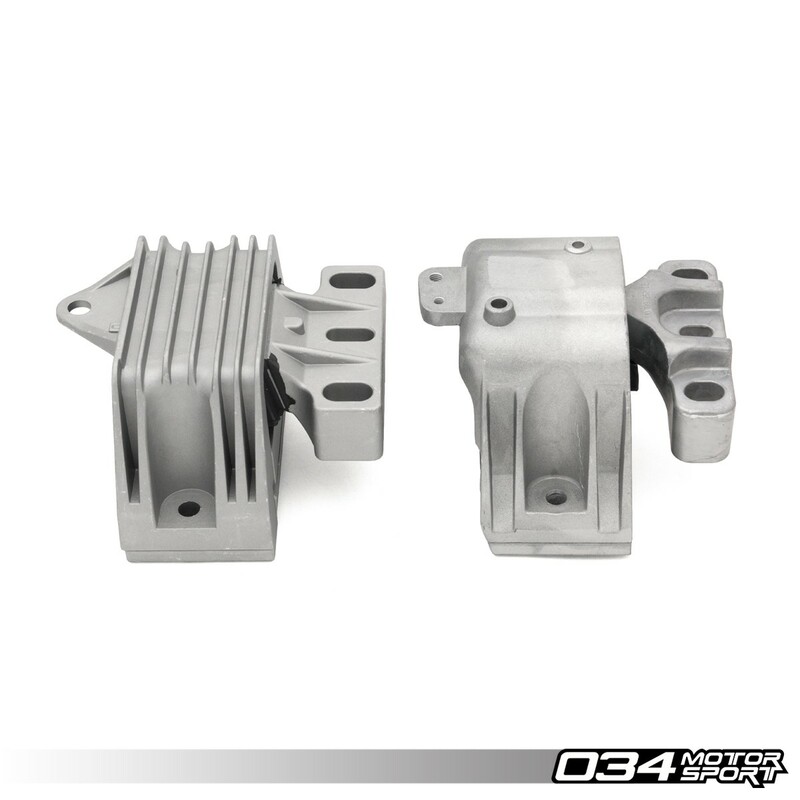 The cast aluminum mount bodies have also been redesigned to cope with the added stress of spirited driving. Note: This Motor and Transmission Mount Set will only fit vehicles fitted with a manual transmission, and does NOT fit DSG models.